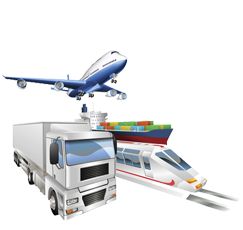 Commercial cargo can include anything except excluded items, such as Live animal, Human remains and Personal Effects. We transport any kind of freight within 48 states. This is a unique service for transporting goods within US and Canada (Subject to Customs Clearance in Canada) by using local Rail system. Goods are picked from Origin by a truck that takes trailer after its loaded to the closest Rail Ramp. Further this trailer is moved by Rail Wagon to the closest Rail Ramp that is near the destination Point. Upon arrival at the destination ramp it is further hauled by a truck to the delivery point.